Notre Dame College is a Catholic co- educational secondary school located in Shepparton. The school has 3 campuses all closely located with a long term enrolment projection of approximately 1750 students. 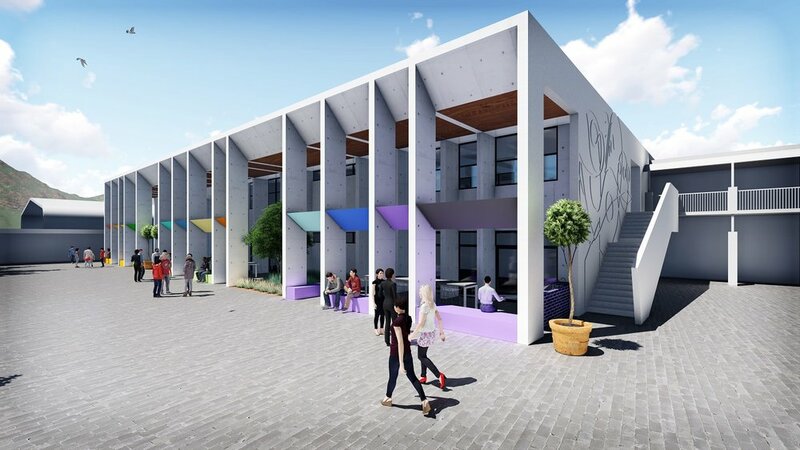 The building was designed to reinforce the schools address along the main road to Knight Street by maintaining a built edge to the campus with a contemporary design which enhances the urban context. 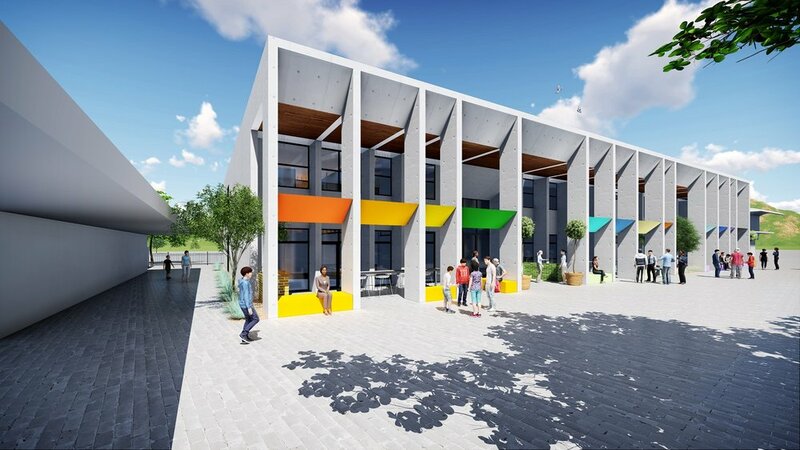 The proposed 2 storey building is designed to accommodate two of the six junior ‘houses’ on the ground floor and provide 6 new science labs for both junior and senior students, to the upper level. The initial project budget was $6-7million but has now been adjusted to $7.3 million. The inspiration for the planning of the facility is based on the shape of an ‘Eel Trap’, which is used by local indigenous groups as a fishing tool for capturing eels. The slender and curved nature of the eel trap were mimicked internally by creating sweeping curved balconies and voids, to create a flowing sense of movement and connection between both levels. 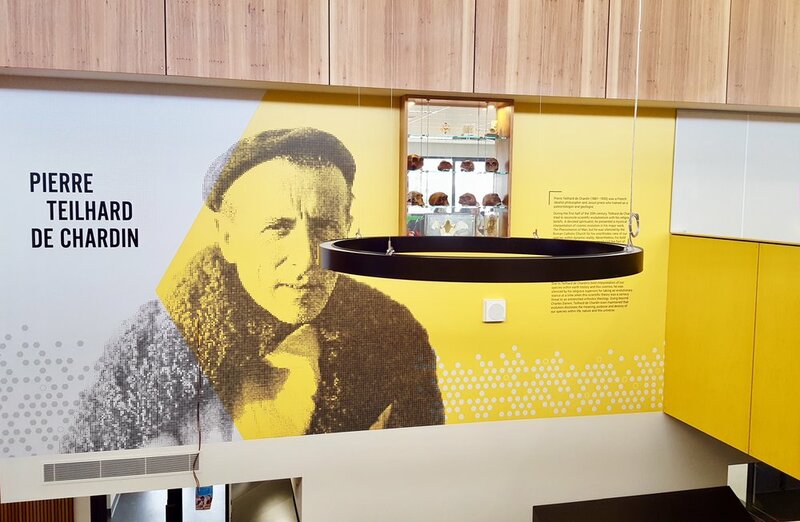 We also looked at the application of a graphic which is intended to be used externally and internally to provide an energetic visual to the science lab areas, on level 1. The graphics were developed from the idea of chemical compound structures.